While sitting at his Grandmother’s piano at the tender age of nine, Dave began running his fingers up and down the keyboard. At that time his favorite tune was “Heart and Soul”. Soon he realized he could pick out that song on the piano. To his delight, he began to play other favorites. Then, by adding chords and tempo, he could make songs sound like they should. Thus began a lifetime love affair with music. In High School he formed a Rock-n-Roll band, named it “The Teen Beats”, and became its arranger. When college came along he was an announcer for St. Louis University’s radio station, KBIL (Voice of the Billikens). He’d play music whenever and wherever he could. Among his hobbies of music, motorcycles, classic cars, boating, and piloting aircraft, music was always his first love. 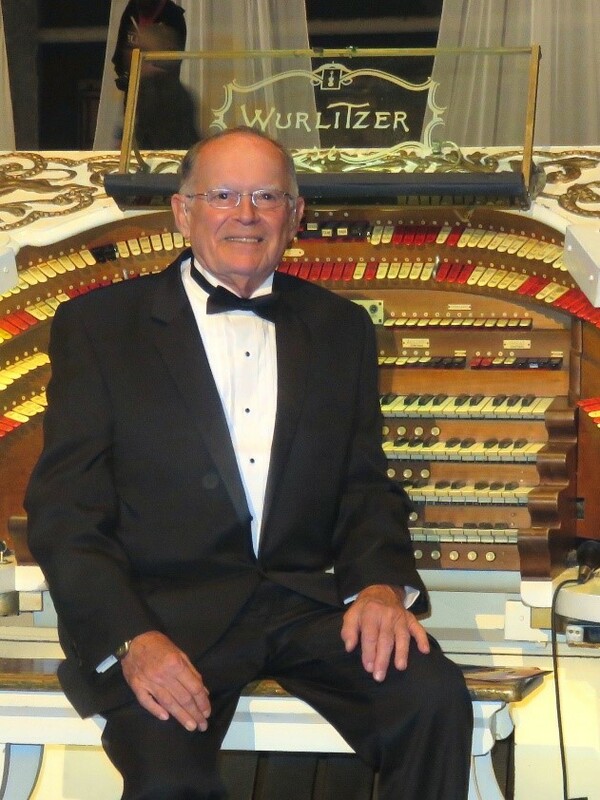 Today his self-trained musical ability has landed him positions as organist at the Wurlitzers of the Fabulous Fox Theatre in St. Louis, Missouri, and organist at the Lincoln theatre in Belleville, Illinois. And… he’s STILL GOING STRONG!